Family relaxing to the maxing is what this deliciously luxuriant dressing gown is for! Sometimes, the most productive thing you can do is relax! 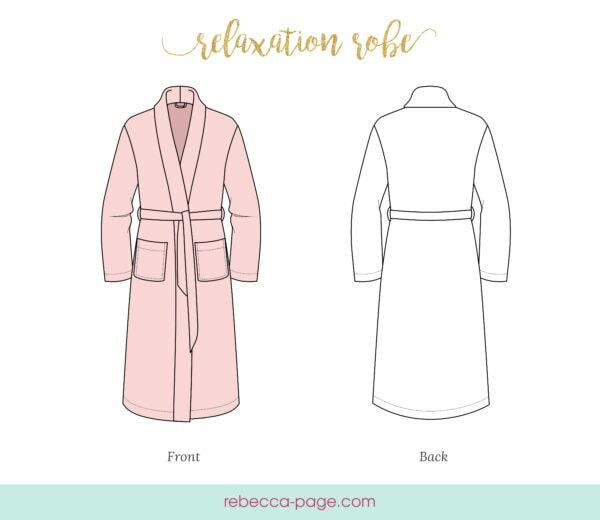 And this family bathrobe sewing pattern is exactly what you need for family relaxing to the maxing. Curl up on the couch in front of the telly together, snuggled up in your cosy dressing gowns. Chill out next to a swimming pool or on the beach in your cossie cover ups (and sunscreen). Ease into your days with your bathrobes draped around you like warm hugs. Whichever way you plan for your family to use their Relaxation Robes, complete comfort is yours with this pattern. Sizes – Pattern includes adults’ sizes 1 to 5, and children’s newborn to 12 years sizing. See the size chart in the gallery above. Options – Optional patch pockets and hanging loops. I loved how quickly this pattern came together! It was easy to make and the instructions were clear. I really adore how nice the finished product looks: the pockets, and shawl collar look store bought. My hubby who was reluctant about getting a robe, really loves relaxation robe in flannel I made him. I also appreciate that I can use knit or woven fabric- allowing me to take advantage of my fabric stash, and make either a cozy winter robe, or a cool summer one. This really is a phenomenal pattern! 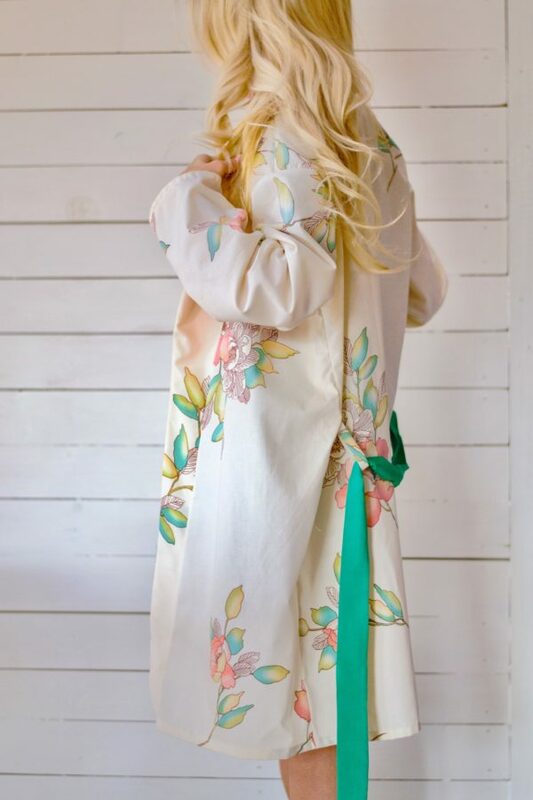 love how quick and easy the Relaxation Robe is to sew up! My boys love how soft and cozy they feel in their new robes. The instructions make the project quick and easy and I was able to sew 2 robes up in less than a day! Can’t wait to make more for them and for me! This pattern is such an easy sew, I really enjoyed making a robe for my husband! I plan on making myself one as well! I used a fleece material for hubbies robe and he loves how comfortable his robe is. It is so satisfying to create your own clothing! Don’t wait, go get your pattern today and make some up for yourself and family today, there is also the pattern for the kids version, so if you like to match everyone up, this is a perfect way to do so! I loved this pattern, it was a quick and easy sew. I really like that there is a “Quick-Glance Cheat Sheet” that I could keep close by and then have the detailed instructions on my computer screen to refer to if needed, and not have to print and store as many pages of instructions. Wonderful pattern! Pattern itself went together easily and the robe was a quick and easy sew – I was even able to make it with a wrist cast still on (don’t worry – I’ve been in it for quite some time already and the doc said I could finally do some “light” sewing if it wasn’t hurting). 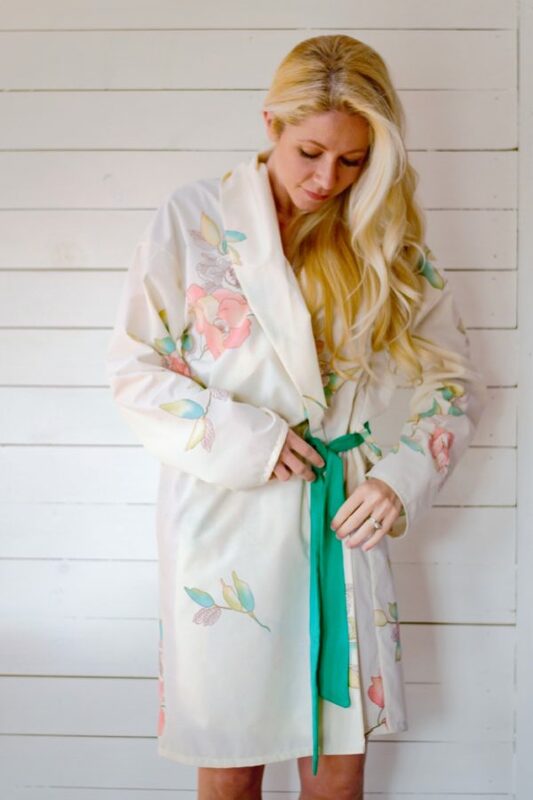 The finished robe fits great and it’s perfect for tossing on after the shower or just lounging around the house! I have a feeling I’ll be making several of these as gifts for the holidays! 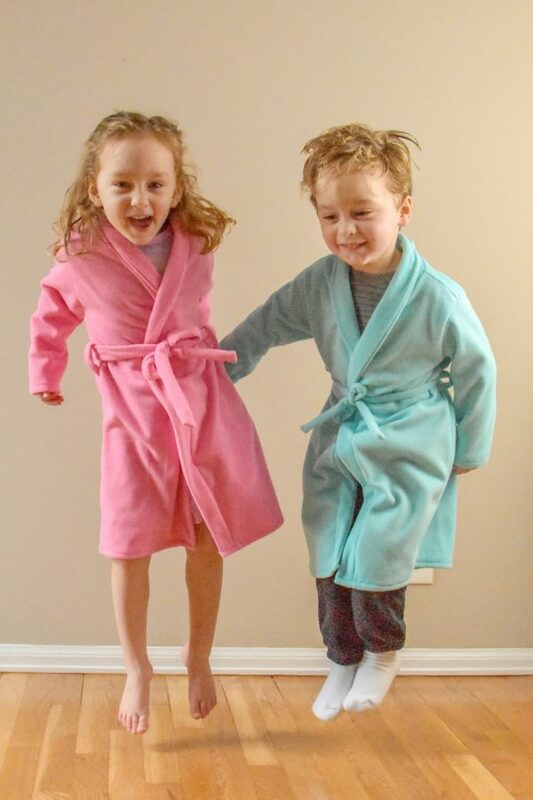 The robe is unisex, so you can buy just one pattern to sew for lots of sizes. It will just be more or less feminine depending on your fabric choice. It can be made in woven or knit since it’s loose fitting. The sleeves are a drop shoulder, but still inset. I love the details. There are pockets, robe tie loops, and even a hanging loop. It’s loose fitting, but it doesn’t fall off my shoulders when I wear it open. All in all, a great robe pattern. Such a great pattern, and so versatile! You can make yourself a comfy robe in either knit or woven, and the pattern is unisex, so can be used for men too! Optional pockets, belt loops, and a hanging loop are available, and you can even use contrasting fabrics for the collar and belt for a unique look. Instructions are thorough and well-written, so this pattern is easy to follow even for a beginner. I’ve probably made about 4 different robe patterns at this point and this one is my absolute favorite. 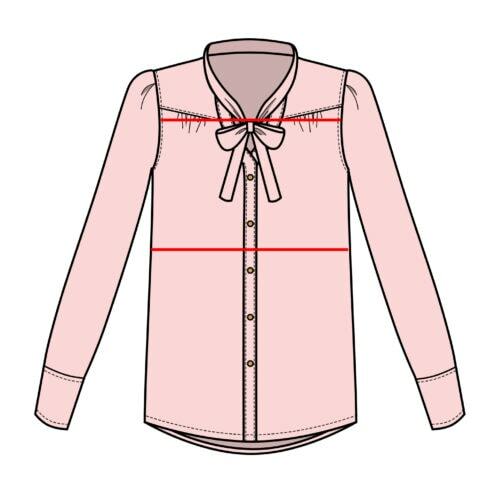 The pattern instructions are well laid out and easy to follow making the sew simple and super quick. I fit is great nice and roomy without feeling like your swimming it. And easily adjusted for height. Highly recommend this pattern. What a great, easy sew! My mom and I spent an afternoon sewing together and whipped up two of these robes. It was a great introduction project for her to both Rebecca Page patterns and using a serger. This robe is awesome! 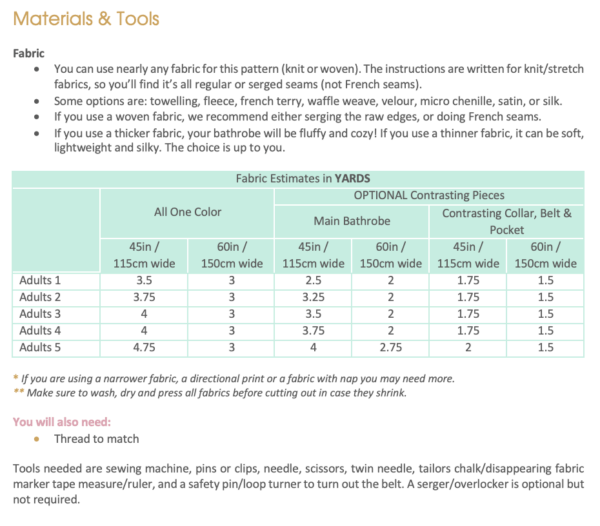 I love that there are limitless options for fabric choices, which means you can have a fluffy robe for at home or something silky and more formal for something like wedding parties!